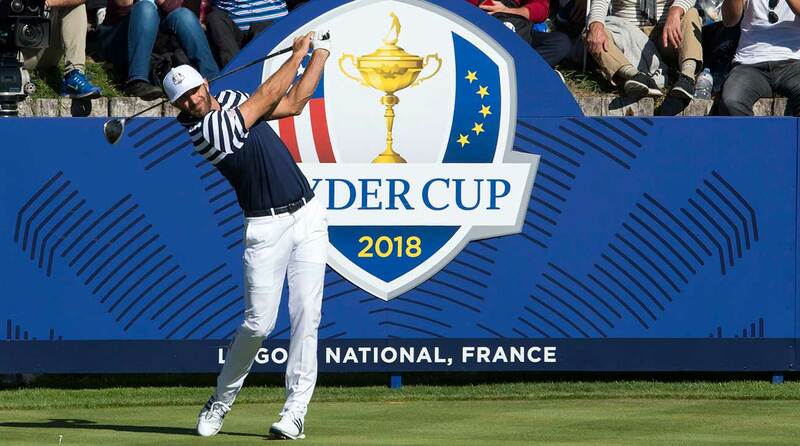 SAINT-QUENTIN-EN-YVELINES, France — Welcome to the 42nd Ryder Cup, where there is plenty to ponder, analyze (and question) in the lead up to one of the biggest events of the year. There's lots to chew on, so let's get started. We asked our experts to chime in on some of the biggest topics and conversation starters of the week. Agree or disagree? Tweet us your thoughts @GOLF_com. MORE: Ryder Cup TV schedule | Scoring format 1.What's the best non-Tiger storyline of the week? Alan Bastable: After all of his Sundays swoons this year, I'm really curious to see if Rory can rediscover his inner-alpha dog and deliver in the clutch. Will also be fascinated to see how the ever-volatile Bryson Aldrich DeChambeau holds up. Ryder Cup pressure defies physics, although he probably already knew that. Jessica Marksbury: I have my eye on Patrick Reed — he’s such a polarizing player, but, as we saw two years ago, the Ryder Cup brings out the emotional, adrenaline-laden animal within. Luke Kerr-Dineen: Phil Mickelson coming into what is probably his last Ryder Cup on a pretty bad run of form. Michael Bamberger: Paris as host. Jeff Ritter: It’s the U.S. versus 25 years of grim history. Can they finally bury the demons of Ryder Cups past and win a road game? Tim Reilly: It's DJ-Paulina. No, it's gotta be Team USA's quest to win on foreign soil. Joe Passov: Naturally, the course set-up will be the biggest non-Tiger story. Josh Sens: Is this the beginning of a new age of U.S. dominance? Dylan Dethier: Who will have the biggest emotional implosion: Bryson, Reed, Sergio, Poulter, Hatton or Rahm? 2. Who will be the U.S. MVP? Bastable: Vive le Reed! Reilly: I think Jordan Spieth missing the Tour Championship provided him with extra motivation to go out on a high note. Marksbury: Tiger! Kerr-Dineen: Tiger Woods. Bamberger: Koepka, of course. Ritter: It’s not the highest bar to clear, but Tiger looks ready to have the best Ryder Cup of his life. A Happy Tiger also gets bonus points for the impact he’ll have in the team room. Passov: Tiger is back to being The Man again. He will be Man of the Match. Sens: Rickie Fowler. Dethier: Justin Thomas. Rock-solid game for a course that demands it. 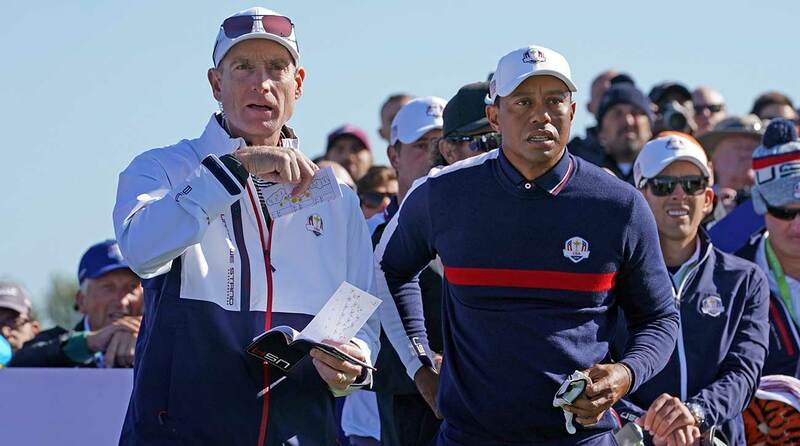 How much will captain Jim Furyk play Tiger Woods? 3. Who will be the European MVP? Bastable: Fleetwood. Love his moxie and ability to reel off birds in bunches. Think he’ll be a RC stalwart for years to come. Reilly: Fleetwood. He’s been so calm under pressure this year that I see him emerging as the European flag holder. Marksbury: Justin Rose. He has a winning record in every format and is the FedEx Cup champ. Dude will be tough to beat! Kerr-Dineen: Jon Rahm. Bamberger: Sergio. Ritter: I expect Rory to play inspired, hatless golf for five sessions and carry his team on his back. Passov: Euro MVP is Justin Rose. He is Europe's version of The Man. Sens: Justin Rose. Dethier: Thomas Fleetwood. Man’s made of moxie, plus he’s got some laser irons and a putter that could warm up in a hurry. 4. Which big name, on either team, is most likely to disappoint? Bastable: Stenson. Big-time wildcard for Bjorn. Reilly: Rory has disappeared in big spots time after time this year. I fear he won’t be able to recapture his magic from ’16. Marksbury: I hate to say this, but my guess is Sergio. Would love to see him rise to the occasion, but he seems deep in a golf funk right now. The Ryder Cup is a tough place to find a swing. Kerr-Dineen: Phil Mickelson. Bamberger: Jean Van de Velde, Euro assistant captain, de facto host. I fear he's going to play it straight. Ritter: Everything seems a little off with Phil’s game right now. I shudder to think what might happen if Furyk trots him out for alternate shot. Passov: Bubba Watson has been superb in three victories, not so good the rest of the year. His shaky Ryder Cup record will continue here. Sens: Sergio. Dethier: Ian Poulter. People take for granted how good he’s been in Ryder Cups, but damn, this is a tough U.S. side. 5. U.S. player most likely to draw the ire of the crowds? Bastable: Bryson. Reilly: Patrick Reed embraces the hate like few others in golf. His eagerness to silence crowds should make him a polarizing figure again this week. Marksbury: There’s a solid handful of guys capable of some good needling: Reed, Bubba, JT…but I think DeChambeau will prove to be a super fiery addition to the team this year. Kerr-Dineen: Bryson DeChambeau. Bamberger: Is this a serious question? Mister Reed. Ritter: Bryson is a good pick, but I think it’s probably Reed again. He relishes the black hat. The finger-wag and crowd-shush will make a return, along with a couple of new moves (Moon walk? Crotch chop?) to infuriate the home crowd. Passov: I'll go with the safe pick, Patrick Reed, as chief crowd-riler. Sens: Patrick Reed, with Justin Thomas as a close second. Dethier: Brandel Chamblee. 6. Watch out for... Bastable: Alex Noren — he’s already won here this year! Reilly: Yep, Noren is as talented as they come and receives very little fanfare on this side of the pond. Marksbury: Thorbjorn Olesen. He’s had a killer year on the Euro tour and, as a rookie, we’re not sure what to expect from him. Kerr-Dineen: Paul Casey. He’s not a sleeper in the real sense of the word, but he’s going to be solid as a rock this week. Bamberger: Jordan Spieth. His play has been dull but I believe he will rise to the occasion. Ritter: I like both Finau and Bryson to play well in their R.C. debuts. Rookie mojo! Passov: Ian Poulter. He's been crazy-great in the Ryder Cup and while he's hardly Europe's best player this year, there's plenty of magic left in that flatstick. Sens: Noren. Dethier: Webb Simpson. If he gets enough starts, the course should set up great for him. 7. How many points will Tiger earn? Bastable: 2.5 Reilly: 3.5 Markbury: 3. I’m all in on TW — he's not going to lose a match this week! Kerr-Dineen: 3-ish. Bamberger: 2.5 Ritter: 3.5 Passov: 3.5 Sens: 2. Dethier: 2.5 8. Who wins and final score? Bastable: Europe, 14.5-13.5 Reilly: USA, 15.5-12.5 Marksbury: USA, 16-12. Kerr-Dineen: Europe, 16-12. Bamberger: USA, 16.5-11.5. Ritter: USA, 15-13. Passov: USA, 15-13. Sens: Europeans, 14.5-13.5. Dethier: USA, 17.5-10-5. Can DJ and the Americans make it two wins in a row?